The Ronford-Baker Slider is available in many lengths and can be made to your specific requirements. 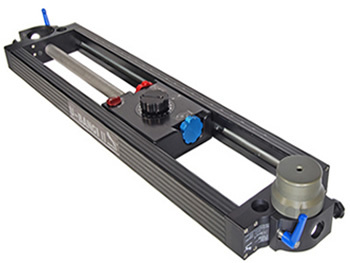 The slider is CNC machined from high tensile aluminium, stress relived 'Tooling Plate', and anodised to suit. Designed for maximised carriage travel, with a minimum height of 4 ¾" (12cm). Mitchell to Mitchell fitting, with an overall width of just 10" (25cm). 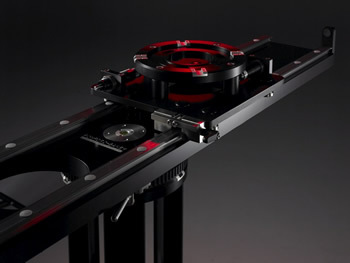 The whole unit has a lockable rotation of 360 degrees. Available in 24", 36", 48" and 72" sizes. Panther Ubangi mk II sliders, with 1 meter bars, 1.5 meter bars, 2 meter bars and 3 meter bars.